Dive Bar, established in 1989, has a double meaning. 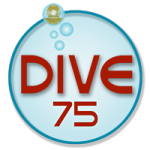 Sure, some may consider it a dive, but its name also comes from a scuba diving theme, including a live aquarium and an old classic diving helmet perched atop the bar. 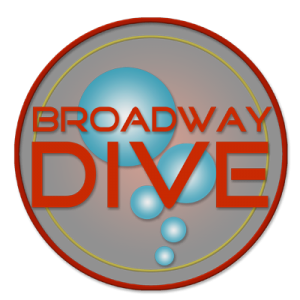 There are now three Dive Bar locations on the upper west side: The flagship Dive bar on 96th & Amsterdam, Broadway Dive on Broadway & 101st, and Dive 75 on 75th & Columbus. Dive Bar has a huge selection of beer on tap that is constantly being updated. They specialize in craft Beer and have 30 taps, as well as 2cask conditioned taps. You can take beer to go in growlers, glass bottles filled with draft beer to bring home. 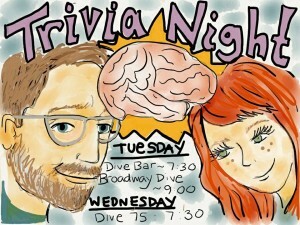 From trivia to sports to music, all three Dive Bar locations have events nearly every night. Dive Bar shows all major sporting events on 14 televisions. They are also a welcoming post-game location for softball teams from nearby Central Park.